Friday was the final day for our Japanese assistant, Chihiro Takebayashi. 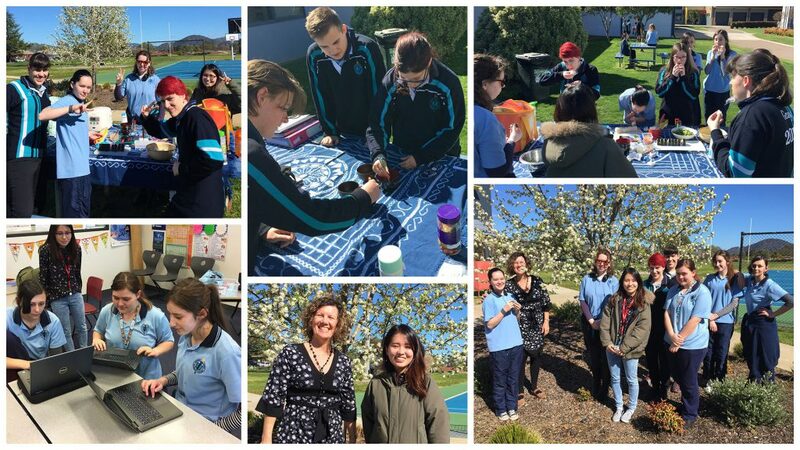 Students and I farewelled her with a Japanese style picnic in the grounds which is common in Japan during Spring and is called Hanami. The group made onigiri (rice balls) and also ate edamame (salted soya beans). Some students created cute characters that were made with rice and seaweed based on a practice in Japan called kyraben where cute characters are recreated in lunch boxes. Students also honed their skills with a traditional toy called Kendama. They practiced their Japanese etiquette and chopstick skills by playing a game with Maltesers where they had to move them from one bowl to another.